Join us for the 5th Annual High Park Christmas Celebrations Event from 2-5 pm on Sunday, Dec 4th. 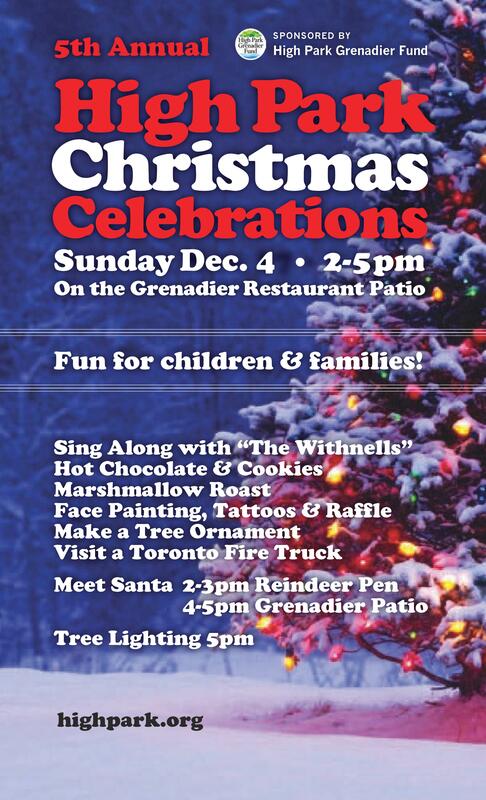 Activities take place on the patio at the Grenadier Restaurant in the centre of High Park. This event is always lots of fun for children and families! !